How do we share untold youth voices? New America Media is a non-profit news agency with it’s roots in the 1960’s. It is an alternative voice for ethnic and economically disenfranchised Americans. Like many non-profits, lately it has found the funding environment incredibly difficult. Taking a fresh look, perhaps opportunities could be uncovered to help the organization continue it’s mission and prosper. In addition to the home news portal, New America Media sponsors a string of youth-led, hyper-local sites throughout California. NAM also operates The Beat Within, a creative writing and art program for incarcerated youth. While the various sites often contribute to the New America site, they have no visible presence as a unified voice on the New America site. 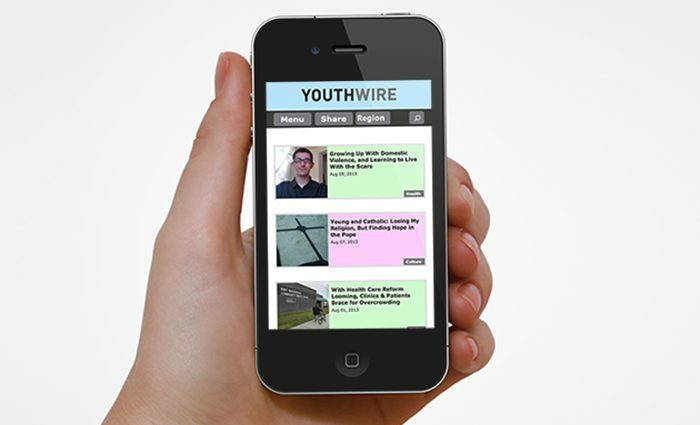 Youthwire is a new platform for all of the diverse voices of the various youth sites. It is curated, representing the best stories, videos and writing of the week. 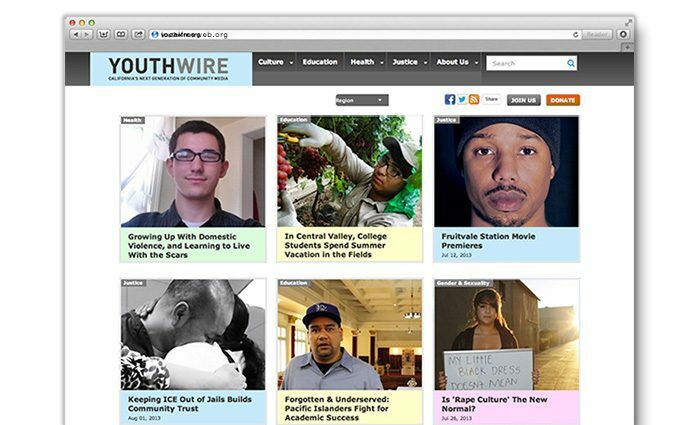 Youthwire is directly linked and promoted on the much heavier trafficked New America site and serve as a portal for those who wish to learn more about the sources for the stories on Youthwire. Democratic Content: Breaks free from the traditional news website paradigm; all voices have the same weight with a minimum of hierarchy. Content Forward: Minimum of chrome and platform independent. Curated: The best of the week’s writing and video will be featured to serve as an incentive and affirmation for the young reporters and writers.